Since telephoto shots can be more prone to blur caused by camera shake, the SP-550 UZ features Dual Image Stabilization to help deliver the clearest results possible. Get a front-row view from a safe distance in high-action situations ? and even make use of the phenomenally-high burst rate to take great sequential shots at speeds never before seen in this category: Up to 15 frames per second. 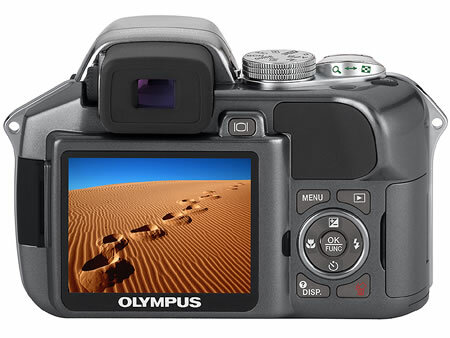 Thanks to an ergonomic design plus the intuitive menu and button layouts, the Olympus SP-550 UZ is a delight to hold and just as much fun to operate. With P/A/S/M exposure modes and 23 scene modes available, there?s a perfect setting for every user. And 25 languages on board ensure that just about anyone can enjoy the camera?s user-friendly menus. 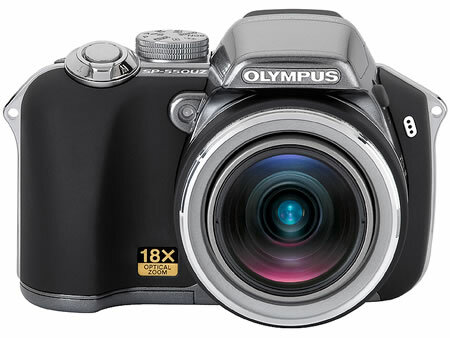 With an xD-Picture Card slot the Olympus SP-550 UZ measures 116 x 78.5 x 78 mm, weighs 365g(no batteries) and will be available from February 2007. SP-550 UZ is expected to cost in the region of $500.